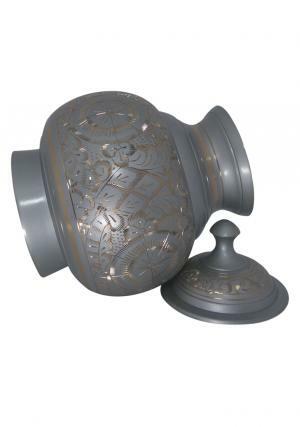 Grey & Gold Engraved Pointed Adult Memorial urn has a unique set of design from skilled professionals and beautiful hand etching of gold flowers with glossy nature to place the ashes. 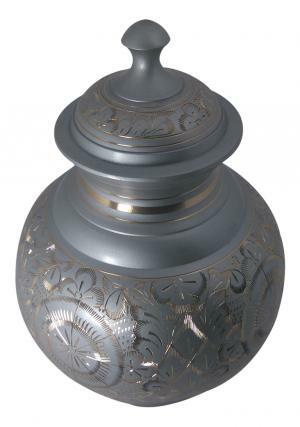 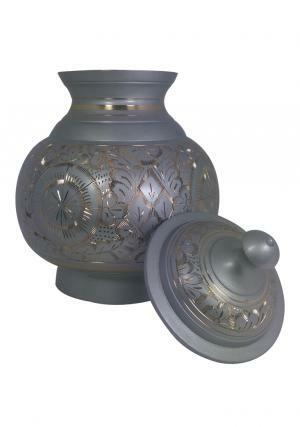 The Elegant Grey & Gold Engraved ashes Adult urn has a pointed end lid with engravings of leaves and flat edges which has screw threading to secure the ashes of loved one’s. 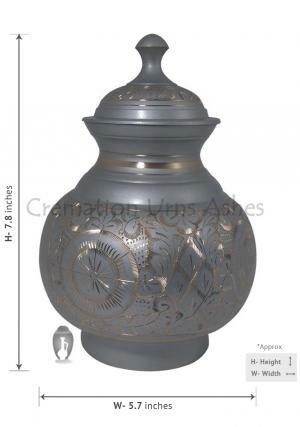 The volume space occupied inside the funeral urn is less than 200 cubic inch ashes. 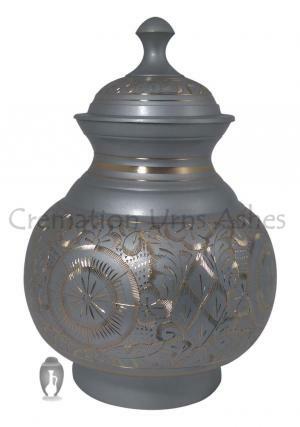 The measured weight of Grey & Gold Engraved ashes adult urn is 1.35 kg, stands 7.8 inch tall and widest point of range in the urn is 5.7 inch.